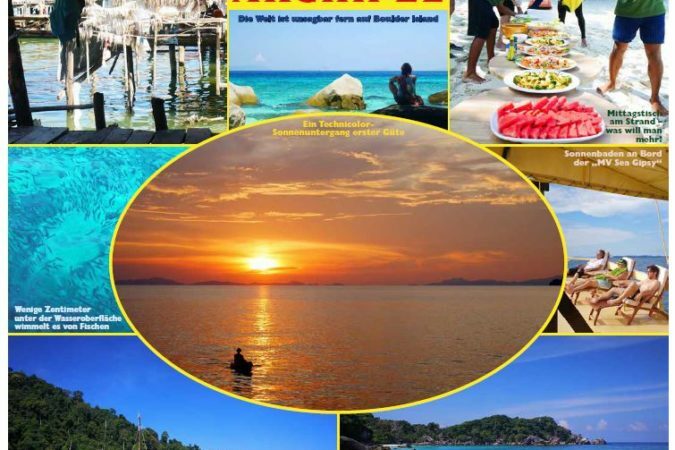 paradise in the far western reaches of the Mergui Archipelago, and a destination I have been eyeing for a yoga retreat. Hidden by a canopy of palm trees, the first signs of the resort are two kayaks idling in the sand. With no island jetty, our boat approaches a barge serving as a research and field training center for marine biologists from Myeik University. An impatient guest dives into the turquoise waters as a motorized dinghy carries the rest of us to shore. Over the next four days, we trek past solar panels and creeks into the island’s lush interior, scrambling over rocky outcrops and through bamboo groves to hidden beaches in search of the perfect location for a yoga shala. We snorkel with octopuses and turtles and observe two marine biologists working on coral restoration, with the intention of establishing the first Marine Protected Area (MPA) in the region. We learn that eco-tourism is much more than reusing your towels and water bottles. feed a family year-round,” explains Greg. 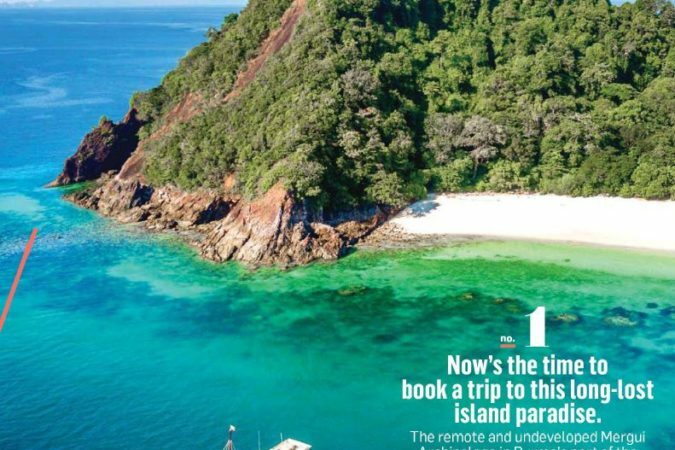 Visiting the Mergui is still expensive because of its remoteness, though we saw on Boulder Bay how those dollars help form sustainable tourism that protects the environment and people in this fragile ecosystem. Join me this October on Boulder Bay for a week of yoga in paradise! Jojo Yang is the co-founder of MYANMORE Green Award winner Nourish Café and Yangon Yoga House, where she is also the main yoga instructor.